This huge tome is the book of the year. 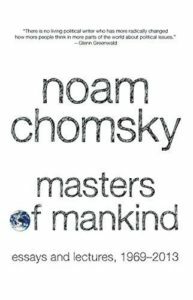 At a new frontier of power, there’s a fight for a human future. 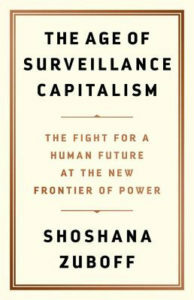 Shoshana Zuboff warns us about the dangers posed by Surveillance Capitalism and wonders “if this is our time now to emerge from this amorphous nonentity of ‘users,’ which is a word that says we don’t matter and we have no interests, as we, through these words—anxiety, manipulation, control, freedom, democracy, resistance, rebellion, solution—begin to identify our true interests and through that discover the new forms of collective action.” Surveillance Capitalism, she says is tracking our “every move, emotion, utterance and desire.” We ignore it at our peril. 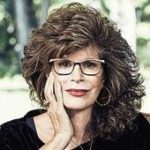 Shoshana Zuboff is professor emerita at the Harvard Business School. She is the author of In the Age of the Smart Machine and The Age of Surveillance Capitalism. 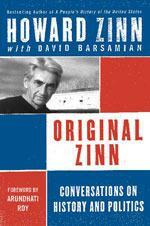 In Barsamian’s first interview book David interviews cogent media critics Noam Chomsky, Ben Bagdikian, Alexander Cockburn, Mark Hertsgaard, Michael Parenti, Erwin Knoll and Jeff Cohen in this out-of-print collectors’ edition.